In my world, I am a leader. I coach teams, I train clients, I advise students. I am a Mentor. My job, as I see it, is to teach people how to take care of themselves so that they have the information to make changes towards leading a healthier life. I take pride in my job. But everyone needs a Mentor. Everyone needs a place to zone out, to follow the leader, to let go and put 110% toward the effort of yourself and no one else. This is why when people tell me they want to run their first or second race (usually a half or full marathon), I suggest they get a coach or a Mentor. First off, experience is invaluable. Second, education matters when it comes to how your body works. Third, if you have a goal and no clue how to reach it, shouldn’t you ask someone whose job it is to get people to their physical goals? Mentors do this for you. They’ve been there, done that, and likely have many an ugly, ill-fitted, cotton race shirt to prove it. They’ve hit the walls and climbed over them. They’ve bonked and gotten back on the road. They’ve made the mistakes so that you don’t have to. They are the ones who make it their business what the latest and greatest shoes, gear, fuel, races, training tricks, and trails are. They are also the ones who will push you when you need it and yell at you when you’re overdoing it. Mentors will talk you off your crazy ledge and make sure you make the smart training decision, even if it’s the hardest one. I have lots of Mentors. I’m lucky to live and work in the fitness world and have my colleagues be the ones who push me, advise me, cheer for me, and talk me down when I need it. But how do you find a Mentor? Two of my favorite cheerleaders and Mentors. 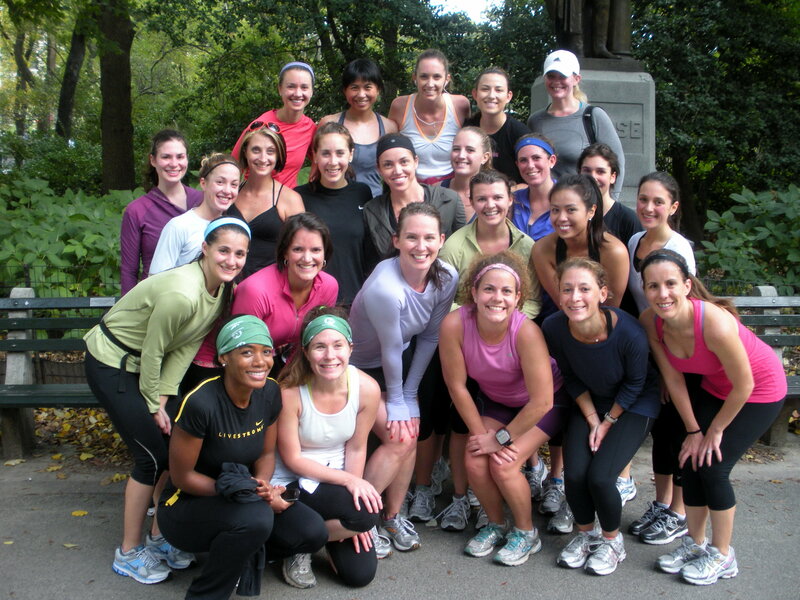 Running clubs are a great place to start. Some people feel more comfortable one-on-one with a personal trainer, in which case a gym is the place for you. 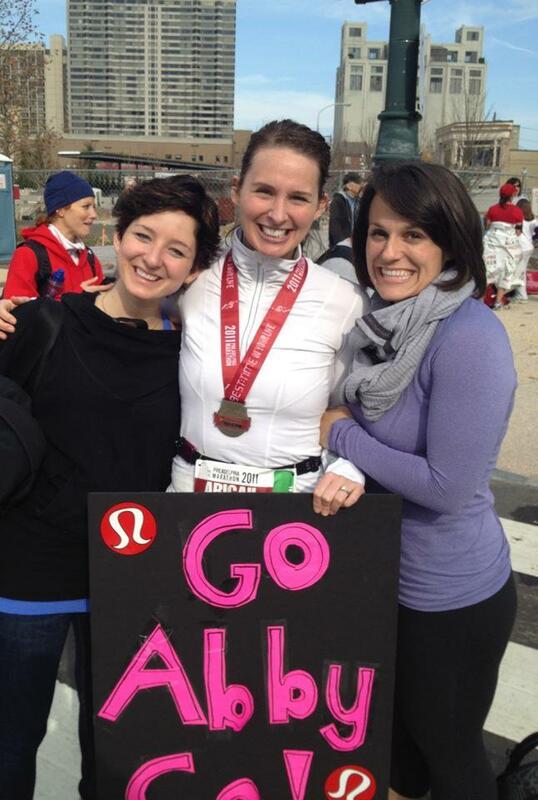 Most of the lululemon stores have run clubs with rock star leaders from the community. I actually love my Mentors over at Flywheel Sports. Aleah, Steven, Dani, Jessie, they all push me in ways that I cannot push myself. I’m not ashamed to admit that I need to be pushed the same way that my I push my clients. Sometimes we need someone else to believe in us so that we can believe in ourselves and have the confidence to go another mile, faster, harder, and longer than before. These are the Mentors in your life. They tell you that you can. They tell you that you must. They tell you not to give up. And you believe in them. Who are your Mentors? Give them a shout-out here! I want to know who you turn to for the leadership that carries you through your workouts day in and day out. Tell me all about them.